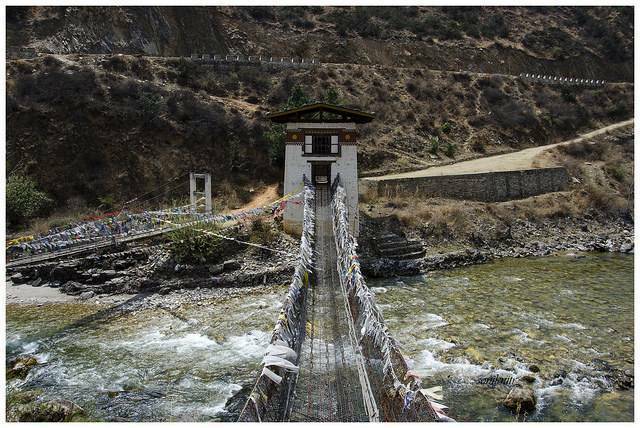 At Tachog Lhakhang or Tachogang Lhakhang there is ubelivebale Cantiliver Bridge iron bridge which just across the Pa Chu River on a base of a mountain. Situated along the Paro-Thimphu highway, its exact location is just after the Village of Isuna and before Chhuzom. The bridge was constructed in the 15th century by an iron bridge builder and poet named Yogi Thangtong.